According to an interview French website Phototrend at CP+ 2019, Tamron is planning to develop telephoto zoom lens and prime lens for Sony E-mount full frame mirrorless cameras. 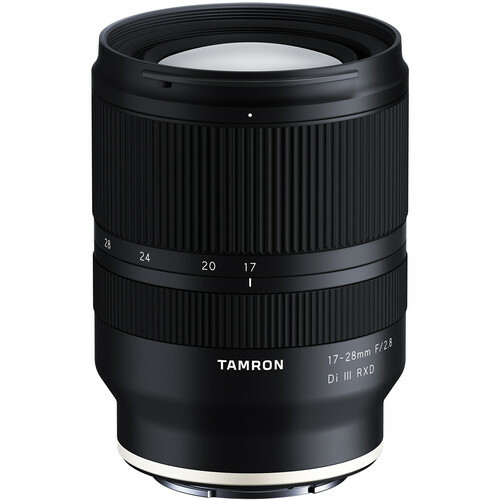 Tamron has showed their three new lenses at CP+ 2019, and it seems the Tamron 35-150mm f/2.8-4 Di VC OSD and SP 35mm f/1.4 Di USD lenses will be available for Sony mirrorless cameras. Kenji Nakagawa: Regarding our strategy for the hybrid, today we already have a 28-75mm f/2.8 and we announced the development of 17-28mm f/2.8. We should also propose later another zoom lens that will cover the telephoto zoom range. Once available, this lens will cover the 17mm focal range at the telephoto. This is the first step to reach. Sony FE 200-600mm Super Telephoto Zoom Lens on the Way! First Images of Tamron 35mm F/1.4 E-Mount Lens & 35-150mm f/2.8-4 E-Mount Lens?